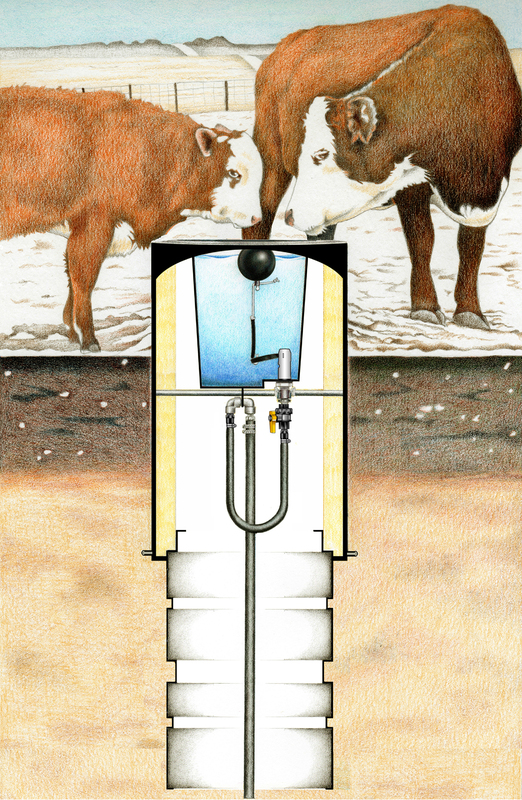 The Model SB with Floatless Valve System features unmatched winter endurance for single animal access. The entire tub of water is constantly and directly warmed by the wide column of ground heat that prevents freezing of the valve and plumbing, even with zero traffic. Cleaning is easy — lift out the tub, swirl the water and empty it out. The more complex and sensitive floatless valve (not made by Cobett) requires a strainer, even for city water. A diaphragm that senses the water weight activates this valve. The floatless valve water level may vary 1″ to 2″ from day to day due to changes in the atmospheric and/or water pressure. 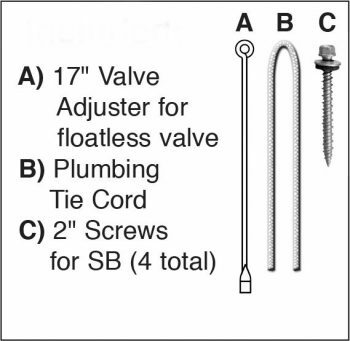 The floatless valve comes with a tool to set the water level. 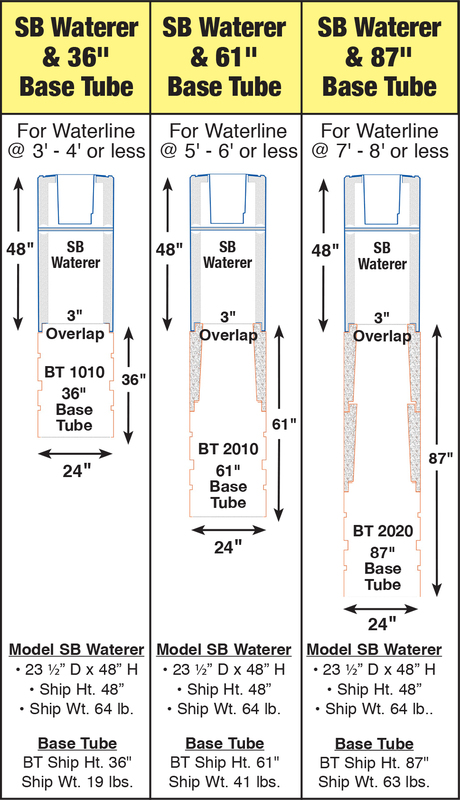 Scroll to bottom to view 3 Base Tube options.